Medium Project 1, Photo 2 » Roger Perron Inc. Here is a view from the front door of this remodeled home, which shows the new walk with brick liners and brick pillars each with custom concrete cap. 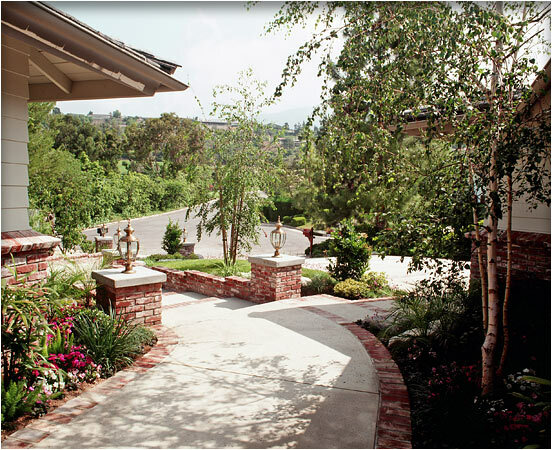 We also landscaped the front yard with a golf theme, since it was next to the La Canada golf course. See design plan image #4 for yard plan showing the mimic golf green. Remodel in La Canada designed by Phil Dubé, architect, and Roger Perron, design- build contractor.